School buses and GPS tracking are a perfect fit. Movin’ On GPS has many features specifically useful for routing school buses, keeping tracking of them, and operating them more efficiently. Each bus can contain up to 72 passengers, all under the care of one driver. If an incident occurs, GPS tracking can aid in locating the bus quickly. Besides this obvious benefit, GPS tracking improves the efficiency of your fleet, prevents liabilities, and can even reduce insurance. Give potential clients another reason to choose your company by letting them know that your school buses are GPS monitored for safety and efficiency. Reduce the amount of resources needed for dispatching and managing your fleet. Enjoy a bus load of benefits and more, with web-based GPS tracking that works on any internet connected computer. We come to your bus yard for installations! 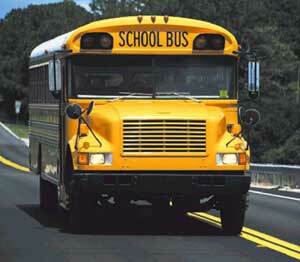 Use in conjunction with Child Checkmate, or our Mobile DVR Surveillance for School Buses.